A construction model is about construction communications and not design. These are simple 3D and 2D models that can be staged and sequenced to illustrate a technical process that many (if not most) designers don’t really understand. It’s simply not what they’re paid or trained to do. Design engineers and architects use complex building information models (BIM) to document the requirements for a completed building. 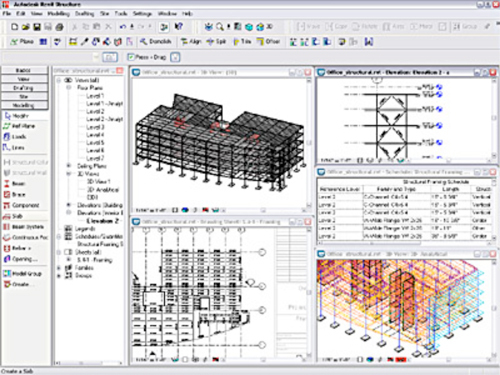 Instead, a construction model is a graphical tool used to visually manage the construction process. The model frees constructors from a tradition of diagrammed dependencies that often leave them on the receiving end of a one way conversation. For example, imagine what would happen if a builder pulled a pencil stub out of his or her tool belt, grabbed a scrap piece of paper from a trash pile, and used it to sketch a detail for the designer to take back to the office and draft. With that drawing, the builder just stepped back into a time when visual explanations were a natural part of construction management. The “art” of scratching lines on the earth, marking corners with stakes, and notching stones with chisels stands at the Paleolithic beginnings of construction. The earliest construction drawings were prehistoric ideograms, visual gestures used to represent an idea that needed no words or dimensions to layout and complete the construction. In the field, chisel marks, mockups, strings, and plumbs were used along with chalk, straight edges, and protractors to physically layout the work. These were spontaneous graphical devices that builders used to manage the construction process. Important is that the workers using these visual tools were builders and not designers, markings and models were part of the way buildings and bridges got built. 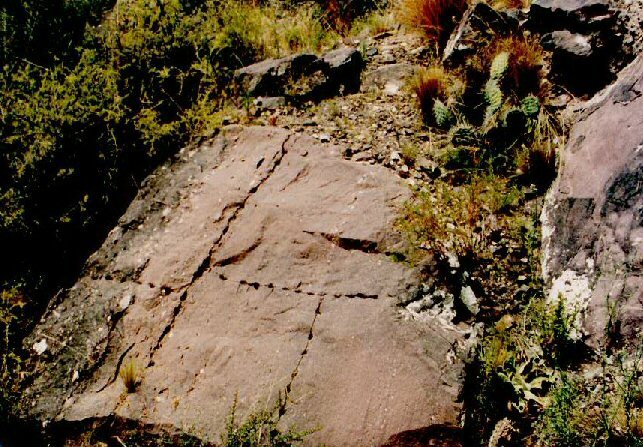 Somewhere in the evolution of construction communications, these early field markings were scaled to paper and parchment and what was once a working drawing became a contract document. As such, field drawings became technical representations, drafted to stand as an abstraction of values and no longer seen as a tool integral to the flow of the work. As a result, diagrams and models that were once used as management tools, drifted away from early builders to become their own kind of technical art. 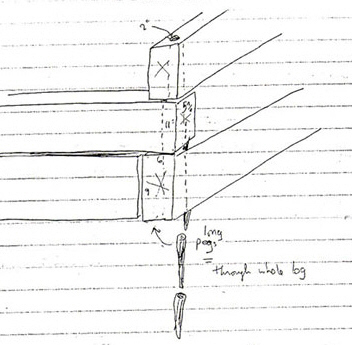 Drawn by skilled draftspersons, first with pen and ink, then vellum and calibrated pencil, Mylar and waxed lead, and eventually vectored lines on a computer monitor, these documents became the dominant voice on the jobsite. Today drawings and specifications are extracted from BIM models, plotted on reams of paper, labeled as “information,” and distributed almost as an after thought to the subcontractors and workers in the field. What was once a straightforward visual explanation has become a static construct, built to reference the legal requirements of a contract, obfuscated to a point where many experienced designers no longer need to understand how to operate the underlying model. The result is tedious, even for those trained and paid to perform…. 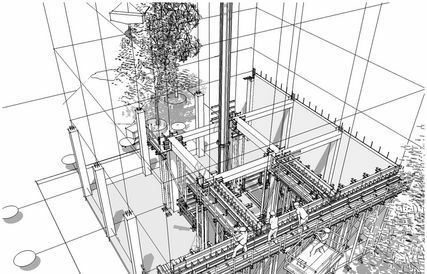 Output from the BIM remains as a graphical explanation, but the drawings are now much too deeply entangled in their own internal complexities for any real collaborative input, especially from workers trying to put something together in the field. This means alternatives that could once be considered and grudgingly erased and redrawn by a draftsperson, must now be painstakingly reconstructed within the layers and references of a complex model. 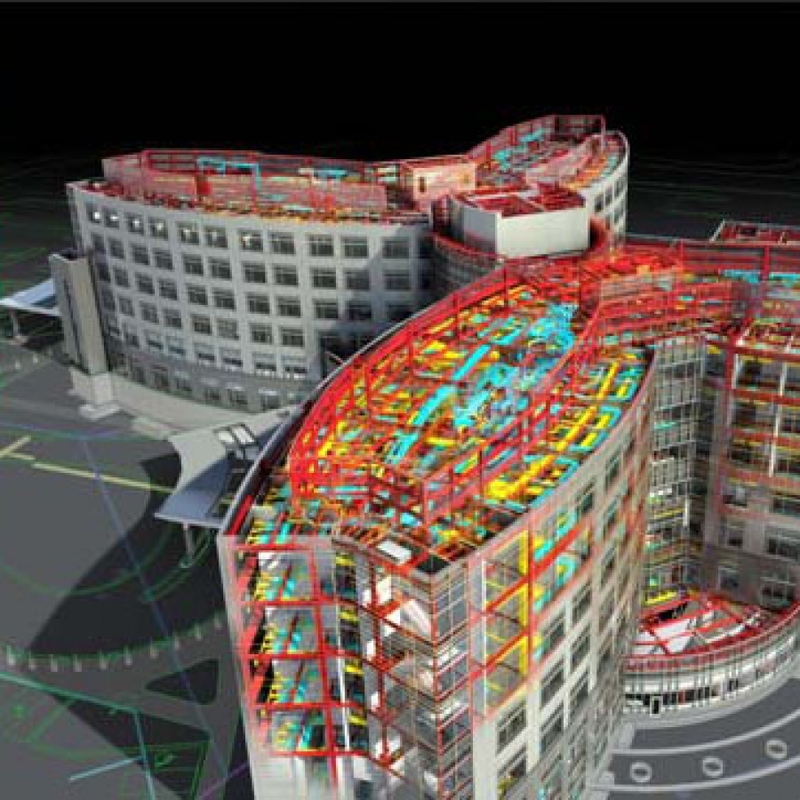 As a result, a BIM model is simply not intended to spontaneously respond to new ideas. Instead, it anchors a preconceived approach into a muddle of memory and menus, creating the illusion of a collaborative process. Real-world collaboration only succeeds when simple explanations can be generated on the fly, well before they’re cast into the murky depths of a model. This might still include the stub of a pencil and a scrap of paper, but on a post-modern jobsite, it’s just as likely to include a tablet computer and a few taps on an open-source program, capturing and communicating process-alternatives using a straightforward construction model. 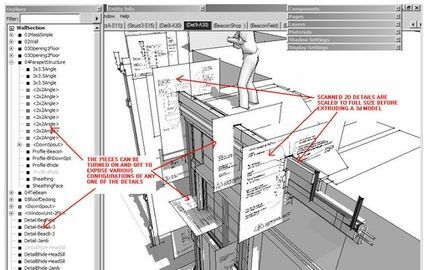 In short, simple construction modeling programs (like SketchUp) do not even come close to challenging the entrenched commitments most firms have for BIM technology. Output generated from a designer’s BIM models are contractual statements of static intent, rendered as a motionless landscape, representing the finished product. In contrast, quick and simple construction models are used to generate animations, study sequences, and capture images in order to manage the flow of the work. That means they support real-work in real-time, fulfilling the real-need for immediate visual explanations on a real-world jobsite. The same explanations once found in an ancient tradition of graphic communications in construction.